Swimming baths or as they are known now, Leisure Centres, were often used as music venues. In Sandwell, Thimblemill Baths hosted The Beatles, Rolling Stones, The Kinks and other huge popular music stars. But more commonly the baths were used for war time dances, tea dances and orchestra and swing bands. Stirchley baths, recently awarded some money to bring it back to life, also played host to music events as these photos show. 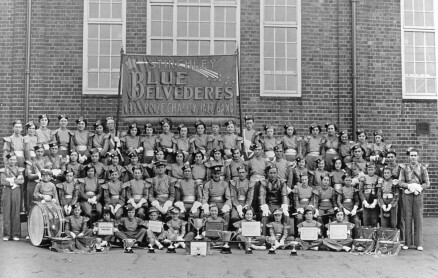 Sent in by Wendy Pearson the photos depict The Blue Belvederes, Den Jones and a dance scene.